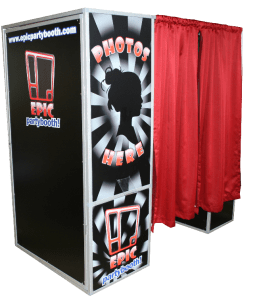 This is a guest post by Jason Soles of Epic Party Booth. 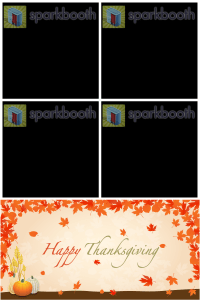 I have been using Sparkbooth commercially and exclusively for over two years at over 70 events. I now operate two full size photo booths. 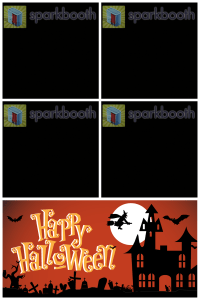 With the new photo album feature of Sparkbooth 3.5 it is possible to run a photo booth and a separate reprint/upload station/kiosk that guests can manipulate. This allows the photo booth to run very fast, and gives guests the ability to interact and share their pictures independent of the photo booth through the easy to use touch interface. I would like to share my first experience with this and give a general overview of the setup and finally my vision for where this technology will take my business. The setup is very straightforward. 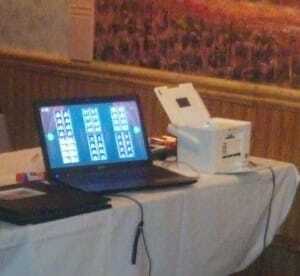 The photo booth uses a laptop running Sparkbooth with a printer, webcam, and USB button for starting the photo booth. The print/upload station uses a second laptop with printer where guests can browse the photos, print photos, and upload photos to their Facebook or Twitter accounts. The next step is to network the laptops using a wireless router. [Note: You can also create an ad-hoc wireless network on one of the computers, and the other computer can join that network. No wireless router required.] 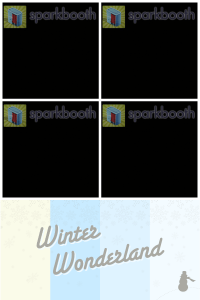 On the photo booth laptop, I set up the Sparkbooth "save" folder as a shared folder. 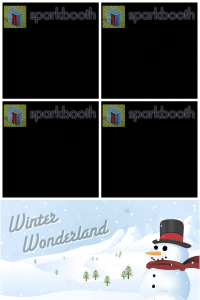 Then, on the print/upload station, I set up the Sparkbooth "save" folder to the photo booth's shared folder and turn on the "Album kiosk" mode. Now, the print/upload station can display the photos as the photo booth creates them. Guests simply select the photos and print, or choose whether to upload it to Facebook or Twitter. If they decide to upload, they use their own credentials to do so. Another really great part is that you can customize the upload to include your company website. When users upload to Facebook or Twitter, it will link back to your web site. Sparkbooth is cleverly designed to be touch screen friendly, and intuitive to use. The album feature is no different. This was my first iteration using Sparkbooth as a separate print/upload station. My intention is to build a real touch screen kiosk using a Windows tablet or an all-in one PC, and a printer in a custom housing. My plan is to strategically limit my base packages to be less expensive with unlimited sessions, and no reprints. The reprint/upload station will be an add-on to my base photo booth package - adding unlimited reprints and uploads. This add-on essentially doubles the amount of photo strips that can be printed at an event. This broadens my market and increases my profits on any upsell I do for the reprint/upload station. Separating Reprint functions from the photo booth really boosts the user experience. Now there will be zero wait time for guests. Before, if somebody wanted a reprint I had to disrupt the photo booth line and reprint before the next session started. I have a large booth often on location at events with many attendees, and many times there are 8 or more people that all want copies. As you can imagine no matter how fast the printer, there's no keeping up. Plus, there are 8 or more people standing around the booth waiting. A separate station for reprints eliminates many of these concerns. The intuitive interface allows guests do their own reprinting/uploading. This provides me a better opportunity to add to the experience in ways other than custodial printing duties. 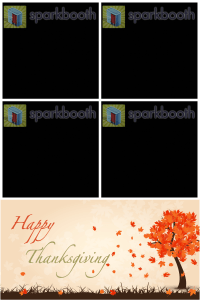 Sparkbooth 3.5 is polished, and poised to put you right where you need to be today and in the future as a photo booth operator. This change only affect the "facebook" uploader. If you are using the "Guest Facebook" or "Guest Upload Chooser" to upload to Facebook, the expiring access token does not affect you.